Pancakes can be eaten for breakfast, lunch or just as a delicious snack! Especially on Sunday, pancakes are a very popular dish. My Instagram timeline is full of pancake recipes on Sunday, topped with bananas, raspberries and yogurt. This inspired me to design a 2.0 version of my favorite pancake recipes! 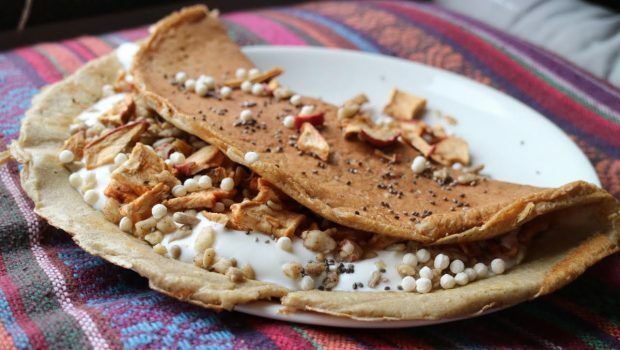 This pancake is delicious, sweet and filling! Throw all the ingredients for the batter into a bowl and mix with a mixer until it’s a smooth whole. Heat the coconut oil in a pan and make sure the pan is hot before baking the pancake. Turn the fire on low and pour a portion of the batter into the pan. Wait until the top starts to set and then carefully turn the pancake. 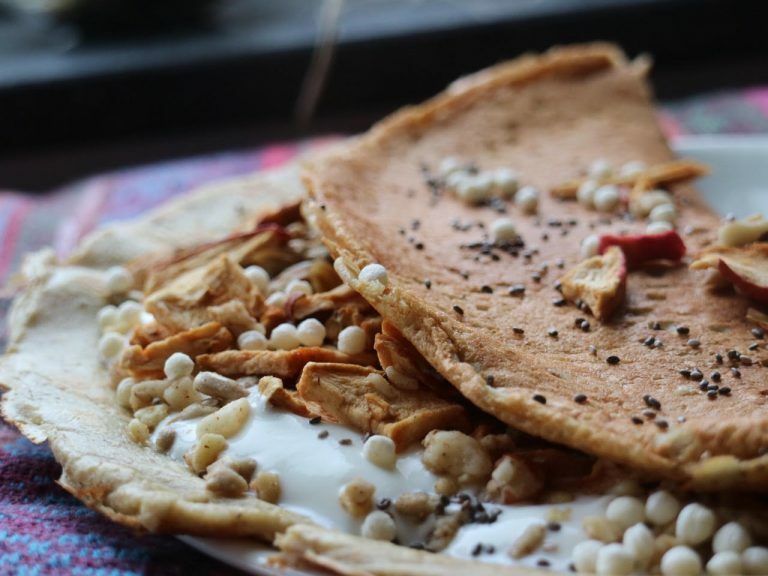 Let the large pancake cool down and fill half of it with yoghurt, granola and possibly powerfoods. Fold the pancake double and tadaa! 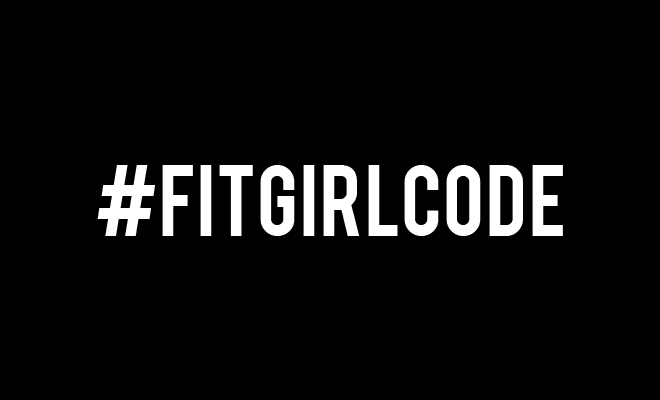 Share this photo with the hashtag #fitgirlcode, I’m very curious to see how it turned out!